Tripp Lite Protect It! Surge Suppressors now offer increased joule ratings and Ultimate Lifetime Insurance amounts to provide you with a superior level of protection and a better value than ever before. 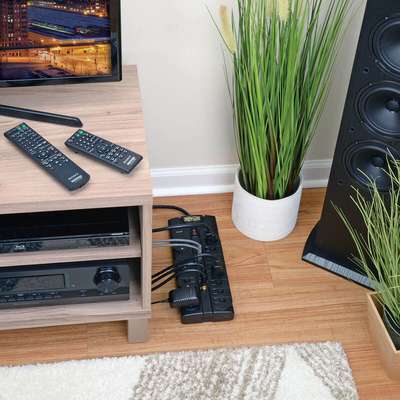 Tripp Lite's TLP1208SAT surge suppressor has 12 outlets, a 8-ft. cord with a space-saving right-angle plug, and diagnostic LEDs. The unit has a surge suppression rating of 2880 joules to handle the strongest surges. Built-in RJ11, RJ45, and type F coax jacks prevent surges from damaging your modem/fax/100Bt/ cable/satellite equipment. 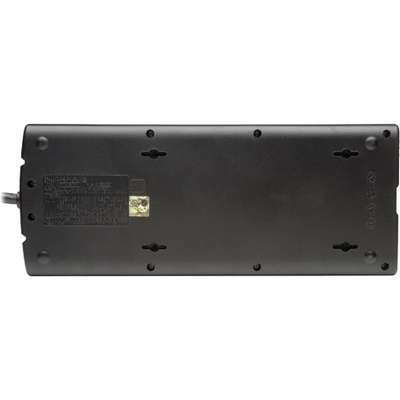 Coaxial jacks provide digital broadband quality and can handle 2.2GHz bandwidth. $250,000 Ultimate Lifetime Insurance (USA & Canada only). 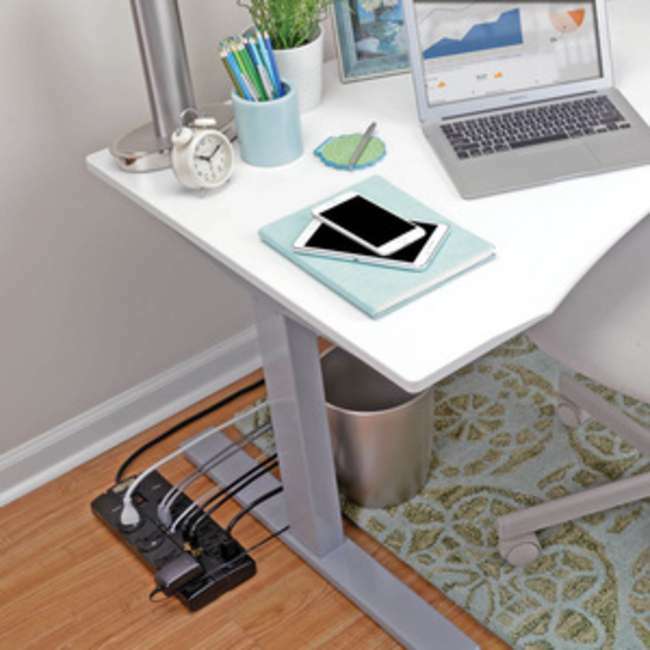 12-outlet surge suppressor offers protection for all electronics and is equipped with child safety covers for each outlet, black housing, an 8' cord with a space-saving right-angle plug, and diagnostic LEDs to indicate protection and ground are present. The unit has a surge suppression rating of 2880 joules to handle the strongest surges. 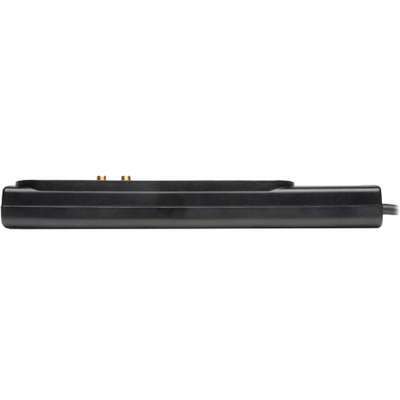 Built-in RJ11 jacks prevent surges from damaging your modem/fax/phone equipment on two lines simultaneously. Built-in RJ45 jacks prevent surges from damaging your 100Bt equipment. Built-in gold, Type F coax jacks prevent surges from damaging your cable/satellite equipment; digital broadband quality accommodates 2.2GHz bandwidth. 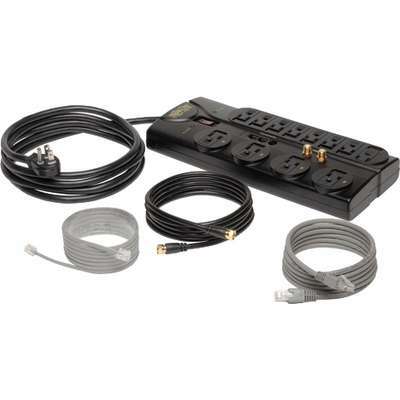 Surge suppressor includes a 6' telephone cord, 6' network cable and 6' coax cable. Design can accommodate up to four transformers without blocking remaining outlets. Audible alarm notifies user when the unit is damaged and needs to be replaced. 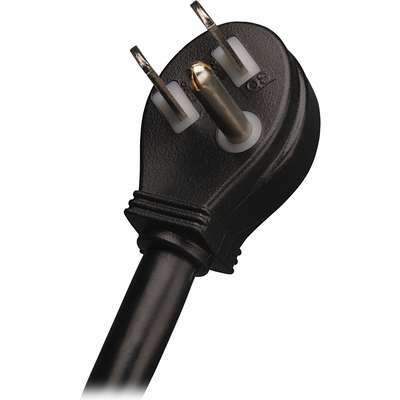 Surge suppressor also features keyhole supports for wall mounting.